That is exactly what protesters did two years later. Sudan has been ravaged with protests since mid-December 2018. People are taking the streets daily to demand Bashir step down after 30 bleak years of deplorable economic conditions and a dire political situation. Sudanese people are very much aware of Bashir’s sham elections where average voters could not even name a single contender. The tyrant neither arrived nor stayed for 30 years in power with ballots. In addition, Bashir has been indicted by the International Criminal Court for war crimes. Unlike 2016, when protesters scattered after the president’s challenge, this time they were prepared to face live ammunition and tear gas, unarmed. Click here to read the whole article. Amid news of Eritrea’s rapprochement with its neighboring Ethiopia after 20 years of deadlock and the resulting improved relations in the Horn of Africa, my interest in my home country has taken a new turn. Until these relatively recent developments, Eritrea had been descending into a bottomless abyss, thanks to the reclusive and short-sighted policies of its government. Meanwhile, I’ve continued to adapt to my new home, following my exile and becoming a stateless person. It has been seven years since I left my home country. Over the years, as I went through several stages of rage/denial/adjustment, my relationship with Eritrea has constantly shifted. 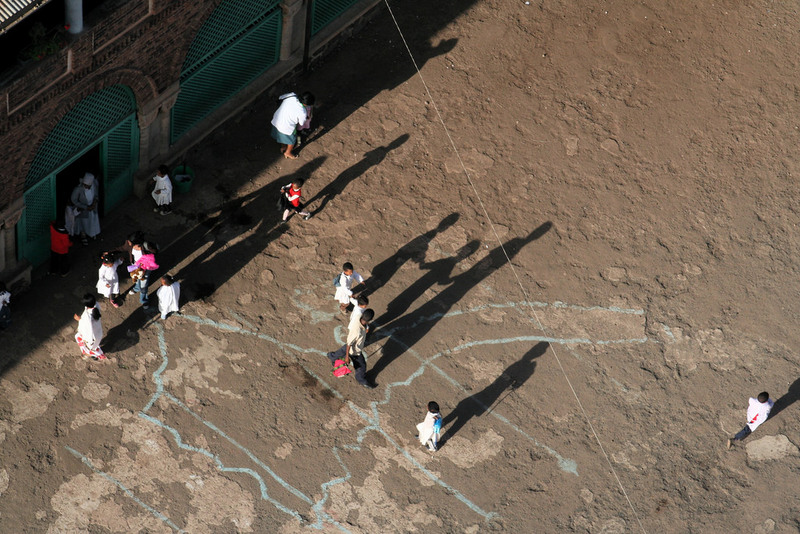 Eritrea has gained adverse notoriety for being the source of a disproportionate number of refugees, fleeing particularly to neighboring countries and Europe, risking the deadly Mediterranean Sea journey. For different reasons, including to explore how this very inaccessible country functions, many people have expressed a renewed interest in visiting Eritrea and experiencing it firsthand. Insiders say President Isaias is now ruling largely unilaterally, keeping the public, military leaders, and even ministers out of the loop. Eritrea’s life-president Isaias Afwerki could hardly have had a busier 2018. This year, he has signed an historic peace deal with Ethiopia. He has built close relations with the UAE and Saudi Arabia. He has re-emerged as a man of paramount importance in regional politics, and he has had UN sanctions lifted on Eritrea. Who knows what 2019 will bring? That is not a rhetorical question. Isaias has long overseen a closed political system, but this year, its secrecy has reached new heights. While the president used to maintain close relations with his subordinates as a way of control, he is now making momentous decisions almost single-handedly. He is governing without informing, let alone consulting, his colleagues. 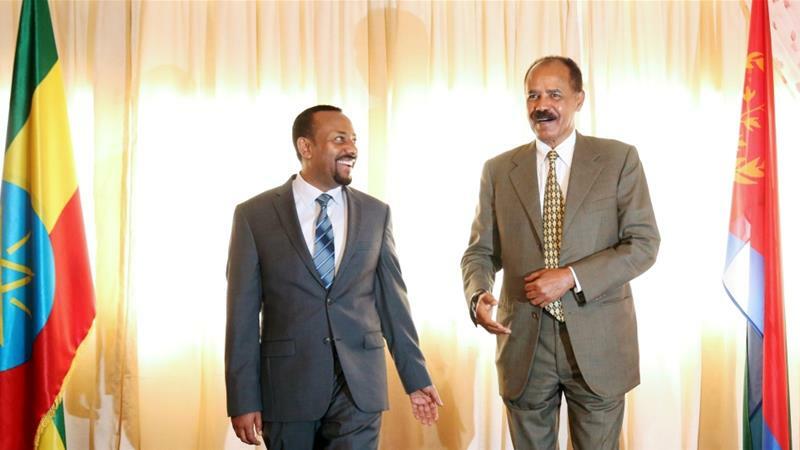 When Isaias made the dramatic announcement on 20 June that Eritrea would send a delegation to Ethiopia to discuss peace after 20 years of hostilities, for example, most ministers were hearing the news for the first time, according to inside sources. The first time the cabinet met to discuss relations with Ethiopia was on 28 September, almost three months after the 9 July peace deal had already been signed. 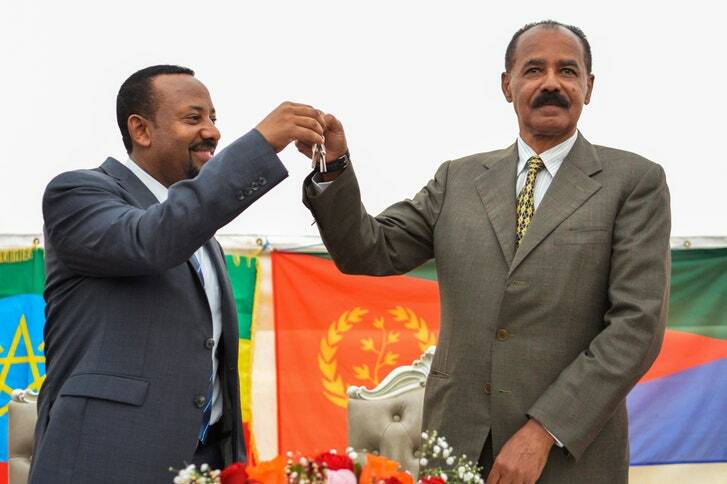 Having gotten rid of international sanctions, the Eritrean regime is unlikely to change its repressive ways at home. On November 14, the United Nations Security Council unanimously agreed to lift the sanctions it had imposed on Eritrea with Resolution 1907.The measure, which included an international arms embargo, travel bans and the freezing of assets of high-profile Eritrean officials, had been in effect since 2009, when the UN accused Eritrea of supporting armed groups in Somalia – something the regime in Asmara always denied. 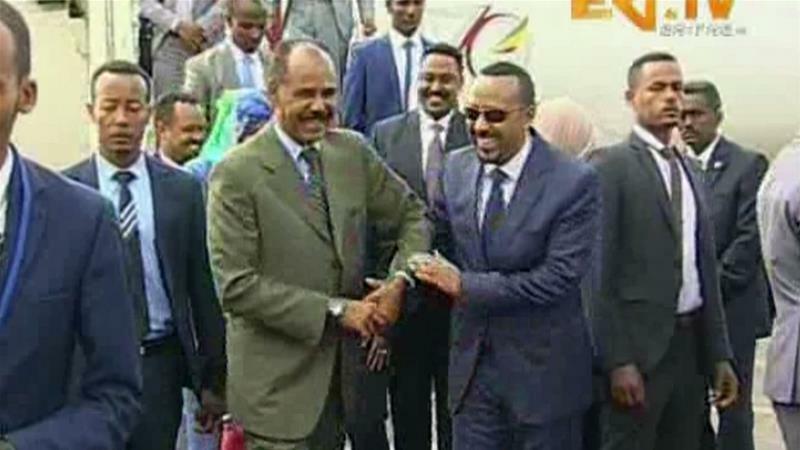 East African nations and the international community welcomed the UNSC’s decision, which came on the back of a landmark peace deal between Eritrea and Ethiopia. If anything, it has actually strengthened his regime. After signing an historic peace deal with Ethiopia, and receiving unprecedented levels of positive media coverage, Eritrea applied for a seat at the United Nations Human Rights Council (UNHRC). 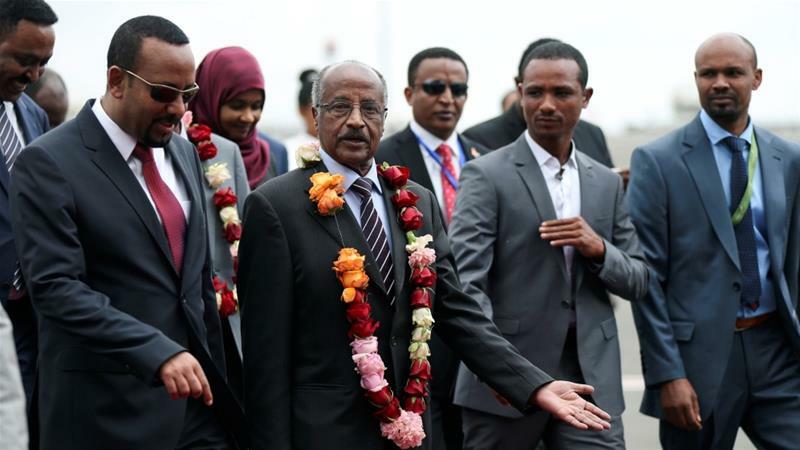 With strong support from the likes of Saudi Arabia and the United Arab Emirates (UAE), this Horn of Africa country which has repeatedly been classified as “not free” by Freedom House, easily managed to secure an unchallenged slate in the African group’s candidate list. This means the upcoming “election” is nothing but a formality and Eritrea will inevitably join the UNHRC at the UN General Assembly’s next meeting on October 12. 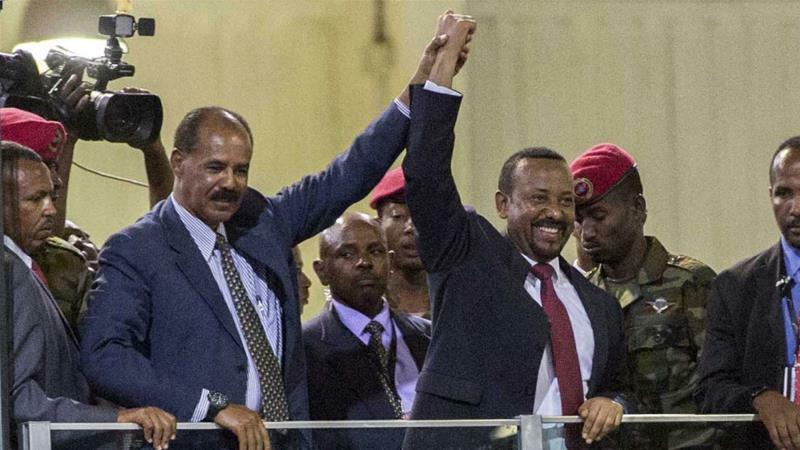 Will the Leaders of Eritrea and Ethiopia Finally Deliver Peace to Their People? 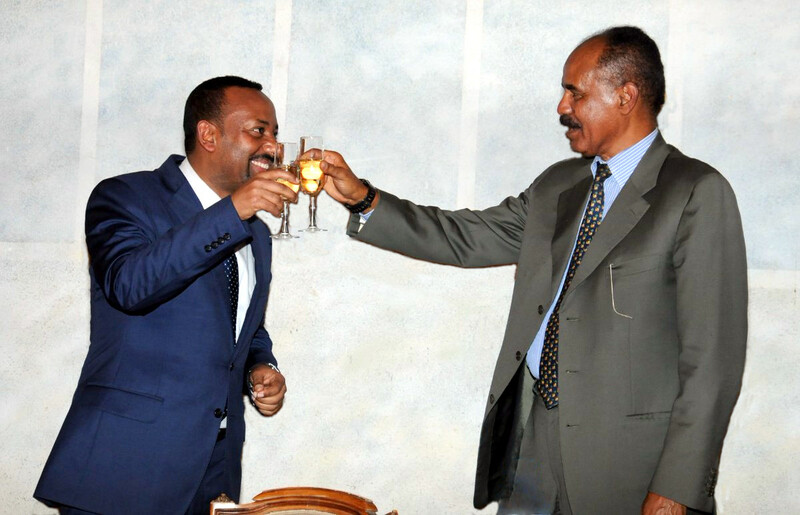 August 11, 2018 by Abraham T. Zere·Comments Off on Will the Leaders of Eritrea and Ethiopia Finally Deliver Peace to Their People?